Did you make enough money from your writing as you wanted to in 2016? Or do you wish there was a way you could do the writing that you're passionate about that can bring you the satisfaction and financial success that you've always wanted? Well take a look at this huge list of 24 writing courses for 2017. You can learn how to plot a screen play, write a successful query, find markets for your short fiction, learn to write a novel, and even create your own author website. You can also submit your screenplay for a private review to an established screenwriter who will give you tips and advice on your work at the Advanced Television Rewriting Workshop. You can also learn how to earn money as a freelance writer. There is sure to be something here that can help you to become the successful writer you've always dreamed of being. Or why not make 2017 the year that you try everything? This must-have value pack covers every aspect of freelance writing to help you make money writing on your own time for the publications you love. From legal considerations to publisher listings to guidelines on structure, grammar, style and more, this kit leaves no stone unturned in the freelance writing realm. Whether you're just starting out or a seasoned freelancer, you'll find new and updated information in this kit to get you toward your goal of being able to write at home AND make a great living. Got great movie ideas in your head but no idea how to get them on paper? It's easier than you think to start writing your own screenplay. In this collection, you will gain access to resources that will make writing easier and less daunting. These tools and techniques hold the secrets to beginning and finishing your first draft, editing your ideas, and blockbuster tips. Don't let screenwriting be a struggle; you are actually allowed to enjoy it! Suspense is one of the most powerful tools a writer has for captivating readers. From mainstream fiction to memoir, suspense creates the emotional tension that keeps readers on the edge of their seats. In this collection, award-winning author Jane K. Cleland will teach you how to navigate genre conventions, write for your audience, and build gripping tension to craft an irresistible page-turner. Take the guesswork out of suspense and write tension-filled, engaging stories that leave readers wanting more! In this workshop, you will learn the tools professional screenwriters use to finish high-quality scripts under deadlines. By the end of this workshop, you will have completed and received professional feedback on a completed script for your drama pilot. This one-week, intensive workshop focuses on the specifics of writing compelling action (description) and dialogue. At the end of this course, your expert instructor, Dave Trottier, will evaluate four pages of your spec script. Who is the real audience for your spec script, and what are they looking for? Craft a riveting, engaging spec that can open doors to your success. In this workshop, you will get an inside view of how to write action and dialogue that captures the imagination and emotions of those who can make a difference. Examples will be provided. The Secrets of Story provides comprehensive, audience-focused strategies for becoming a master storyteller. Armed with the Ultimate Story Checklist, you can improve every aspect of your fiction writing with incisive questions. To succeed in the world of fiction and film, you have to work on every aspect of your craft and satisfy your audience. Do both--and so much more--with The Secrets of Story. Writing a successful mystery novel or screenplay is more than just keeping readers intrigued or making an audience jump out of their seats. Even the smallest of details has to be authentic and believable to evoke the intended effect. You will learn the ins and outs of building a plot with heinous crimes, meticulous investigations and disturbing characters that surprise your audience around every turn. With this exclusive collection, you get 12 incredible resources to help you write the most cutting-edge and current thriller that the reader will not want to put down. Whether you are an unpublished writer who wants to start building a platform or a published author looking to improve your website, this online webinar has something for everyone. Media guru Jane Friedman teaches you how to make your own website for free; all that is required of you is time and patience. You will get an overview of the top website tools available for creating a website, the mistakes that most beginners make (and how to avoid them). You will learn step-by-step how to use Wordpress, either at Wordpress.com or on your own domain. This includes deciding which Wordpress themes are best for your site, the basic, free, Wordpress plug-ins that you will need and how to extend the functionality of your site with more advanced plug-ins. If you have been sitting on an idea for a feature film, this is your chance to complete a draft of your screenplay in just ten weeks, with expert feedback at every step. Whether you have finished a dozen screenplays or are working on your first, this workshop will give you what you need to get you writing and keep you on track to finish your script. Do not waste your time with wrong turns that could eat up weeks or months. The expert guidance offered in this course will help you see the big picture of your story even while you are deep in the trenches of writing. By the end of this workshop, you will have a first draft of a feature length screenplay. Take your writing to the next level! Without the proper foundation, you cannot connect with your readers on an emotional level. In this collection, you will have a variety of intensive tools and techniques for instilling emotion into plots, characters, dialogue, and settings in order to achieve that WOW! feeling in your story. These tools will keep you focused on the heart and soul of your work so that plot, character, and theme create a unified story. In this presentation, Writing a Query that Stands Out, literary agent Sarah LaPolla teaches you how to make sure an agent notices your query for the right reasons. Learn tips on technique, style, what will stand out, and what to do next. Sometimes a project just doesn't click with an agent, and that's OK. Just make sure that rejection isn't because your query fell flat. Every great film causes the viewer to want go on an emotional journey with your characters. Pixar's amazing track record has shown that they have been consistently successful in tapping into the essential qualities that can make audiences care about their characters and stories. UCLA screenwriting instructor and author Karl Iglesias will take your writing to the next level, using an in-depth analysis of Pixar's master storytelling and character-building techniques. In this week-long intensive, you'll first watch and discuss (via discussion boards) a three-part video lecture exploring the way Pixar has harnessed the essential ingredients of quality storytelling and great character development to form the strong emotional core of some of the most successful movies of the last 20 years. Then, you'll apply those ingredients to creating a synopsis of your main character for critique to ensure that your main character has the qualities that would make your audience want to follow his or her journey. FrameForge Previz Studio has been used in the grueling schedules of television production on shows ranging from CSI:Crime Scene Investigation to Downton Abbey, and has been so fast and effective at streamlining their shoots and improving their productions that the National Academy of Arts and Sciences gave us an Emmy for it. And if it can save those award-winning productions time and money, think what it can do for you. Screenwriters University is now offering our Advanced Television Rewriting workshop where an established screenwriter can look over your ENTIRE screenplay and give you tips on how to polish it. This eight-week workshop is broken up into four sessions that each focus on individual elements of the rewriting process. Each session, you will submit a section of your screenplay for review. Each session will also have focused lectures that help you on each step of your revision process. The lectures are there for support, but the focus of this workshop will be on your screenplay. Each session, you will submit to your instructor for private review, and also you can submit to the other workshop participants for peer review. Let Screenwriters University show you, step-by-step, how to create an electrifying treatment! We have made the anxiety-producing process of treatment writing simple with our ground-breaking approach to the form. By the end of this workshop, you will have a strong treatment and a solid log line for your screenplay that has been vetted by an industry professional. Join The Onions founding editor and #1 New York Times bestselling author Scott Dikkers as he deconstructs five of the Coen Brothers most successful comedies, and shows you how you can skillfully apply some of their tricks of the trade to your own work. In Just Write, best-selling author and veteran writing coach James Scott Bell shows you how to develop unforgettable stories while leading a rewarding writing life. You'll learn how to master the nuances of fiction, discover what readers really want, and persevere through the challenges of getting started, conquering writer's block, and dealing with rejection. This course will examine plotting a screenplay from premise to story. You'll learn how to take your screenplay from the early stages of building idea into a full story to structuring the story to keep tension and investment high in the audience to considering how to build not only structure but texture in the world of your film, how to build an experience of the world, what the events and the world of the story mean for characters and audience alike, not just building up point-by-point plot. Join author and editor Philip Athans in writing a 6000-word short story using the Lester Dent Pulp Paper Master Fiction Plot. In our first session we'll go through that master "formula" and what it takes to write fun, fast-paced, entertaining fiction. Then each week we'll write another 1500 words, keeping an eye on the lessons of Lester Dent and others, so that by the end of our four-week session everyone ends up with a complete 6000-word pulp short story in any pulp genre: mystery/thriller, action/adventure, romance, western, sci-fi/fantasy, horror, and more. During this webinar, writer and producer Charles Kipps will walk you through the steps necessary to create a compelling mystery. You'll explore all aspects of storytelling which combine to make a mystery a mystery: the suspects, the clues, and the protagonist's crime-solving methods. Whether you're a writer or a mystery lover, this seminar will demystify the puzzle of mysteries. As a writer, you'll learn how to outsmart your audience. As a viewer or reader, you'll be ready to match wits with the writer. Too many writers think that the plot of a story is made up of either fast-paced, external action or quiet and introspective moments. Plot is both those things and so much more. Creating a compelling plot incorporating action and emotion and meaning requires talent, skill, know-how, and practice. Learn what makes a great plot and how to apply practical plot techniques as you craft a dramatic heart-felt and meaningful story. Martha Alderson, also known as the Plot Whisperer, has helped novelists of all genres and memoirists and screenwriters write stories with plots. Writing a story with a plot from beginning to end using universal story-telling methods gives you confidence as you explore your characters, action, and deeper meaning. In this six-week course, you gain detailed insight into the behind-the-scenes workings of one-hour TV drama script. You will have the opportunity to learn exactly what can set a good script that gets set in the waste basket apart from an outstanding one that gets a contract. By the end of this course, you will develop and perfect the first act of your spec script so it is ready to go right into a producer's hands! Write as you learn in this unique course that provides instruction, tips, online discussion, and relevant homework assignments, including an evaluation of pages from your ending. Examples from a wide variety of classic, popular, and highly acclaimed screenplays will be used to clarify principles and techniques as you design and write your powerful ending. Learn from The Sixth Sense, The Usual Suspects, and The King's Speech, as well as The Godfather, The Shawshank Redemption, Galaxy Quest, Planet of the Apes, Psycho, Casablanca, Some Like it Hot, and more. I have some amazing books, products and writing courses for you that will really help you to perfect your writing craft and make it possible for you to earn more income from your writing. Take a look at the list below and see if there's something that can help catapult your writing success. Jump start your comedy screenplay! A spec comedy screenplay is a great calling card for any screenwriter, and in this course we’ll tee you up to create a successful one. Writers will learn the tools professional comedy writers use to create funny screenplays, and how to use those tools to get started on your own script. You’ll start by creating and discussing funny loglines, and learn the criteria for determining which premise should advance to the outline stage. Then you’ll create a detailed outline with one-on-one instructor feedback. Once each student has a winning story plotted out for a comedy screenplay, we’ll workshop the funniest ways to execute that idea as a feature-length script. Finally, each student will begin writing a comedy screenplay, which can be completed after the class. 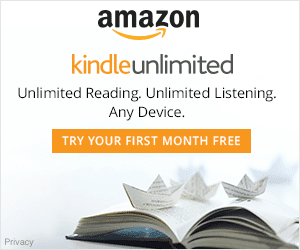 Increase visibility and grow demand for your KDP Select titles using Amazon Marketing Services. Sign in today and get started building your first ad. Building Your First Ad is as Easy as 1-2-3! Whether you are a writer looking to understand the fundamentals of writing for film or a television writer looking to expand your skillset, Beginning Feature Film Writing has invaluable information to offer you. Using detailed analyses of successful scripts, you will discover how film writers maximize the impact of your work using compelling characters and scenes. The writing critiques in this workshop are tailored to develop specific skills needed to succeed as a feature film writer. You will also gain access to a wealth of creative writing prompts. In today’s marketplace, creative non-fiction and screenplays based on true stories are selling faster than fiction. A-list actors and agents know this and are more likely to read your screenplay if it’s based on true events. In this kit, you’ll learn how to harness the intrigue of this unique genre and find the best “story” to tell within your true story. With step-by-step instruction from screenwriters in the industry, you’ll learn the best process to follow in developing a true story screenplay that sells. This one-week intensive course, taught by horror pro Neal Marshall Stevens (13 Ghosts, Hellraiser:Deader), will explore the nuts and bolts techniques that working screenwriters and filmmakers use to create fear on the page and on the screen, using examples from classic and contemporary films ranging from Night of the Living Dead to Paranormal Activity—including examples from his own screenplays. If you can present a new version of an old concept and scare us on the page, your script can sell. Plus, there is always room for innovation and creativity within the field. That’s why horror is a natural choice for many a screenwriter. Just Released, the new Final Draft 10 Software Suite! When you're ready to write a screenplay, you want only the best screenwriting software to help you get to from initial concept to FADE OUT. That's why you need the all-new Final Draft 10, the number-one-selling software designed specifically to write scripts for film, television, and theater. Final Draft automatically formats and paginates your script to Industry standards with just two simple keystrokes. Do you love exploring new worlds and possibilities? Dive into the diverse universe of science fiction and fantasy writing with this collection. Study these fantastical genres of writing and learn what you need to create the best first impression, memorable character, and more. 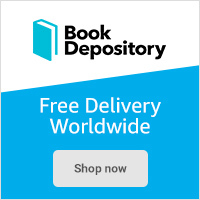 Heighten the senses of your readers with unique settings and concepts that you can only find within the realm of fantasy genres. Learn how to take your fantasy or science fiction novel to the next level! When you take this six-week workshop, you'll discover how to become a travel writer by exploring the different types of articles you can write and developing your writing style. You'll learn travel writing tips such as how to take your own photographs. Use this workshop to draft an article that keeps readers captivated and garners interest from travel editors. Not getting any writing done? Want to do more writing? Want to write a best selling novel? Looking for more markets for your writing? Then take a look at these products and courses for writers. There's bound to be something that can help get you started on your next big project. Do you want to become the next bestselling literary or commercial author? The key to writing a "breakout" novel has nothing to do with million-dollar publicity budgets, huge advances, or name recognition. It comes from writing the kind of novel that gets people talking and creates a growing wave of excitement and support that carries your work along for the ride. This collection is designed to help you succeed with proven tips on strategies, structures, hooks, characters, dialogue, viewpoints, settings, and techniques to get your novel on the road to publication. Cover all the bases and start writing your breakout novel this year! This one-week, intensive workshop will help you develop and plan your micro-budget screenplay. At the end of this course, you will submit the first five pages of your script for critique by the expert instructor and screenwriter, Paul Peditto. There has never been a better time to break into the business. Now all you need is a script that can be shot for a micro-budget price and a producer with full knowledge of fund-raising, budgeting, and scheduling. It might seem like it, but this is not Everest you’re scaling. This can be done! A good story flows from a solid understanding of writing and structure, along with a confident grasp of character, plot, and dialogue. Every writer who dreams of writing a great story must possess impeccable writing skills and know how to execute the fundamentals of storytelling within a story. Whether writing a traditional novel, a children's picture book, or an experimental book, writers across all genres will find a firm foundation in classic storytelling techniques with this ultimate collection. Get everything you need to start, craft, and complete the structure of your story. You’ve just finished your first novel and can’t wait to submit it for the possibility of publication. In your excitement, however, you make some newbie mistakes and your manuscript is rejected. This tutorial demystifies the mistakes first-time novelists make. This tutorial will help you avoid being perceived as a “beginner” to the industry professionals who’ve seen it all and stand between your book getting rejected and accepted for publication. This tutorial is presented by Charlotte Robin Cook, an experienced publisher and story editor, and Jon James Miller, an award-winning screenwriter and debut novelist. Both Charlotte and Jon have tremendous writing experience and know the ins-and-outs of how to edit novels into successful reads. They work with both first-time novelists and industry professionals looking for fresh new literary voices. Designed for student, low budget or beginner filmmakers, Chimpanzee offers traditional film scheduling & budgeting features at an affordable price. Made by the people who brought you Gorilla, Chimpanzee allows you to create breakdown sheets, budgets, manage cast & crew, generate call sheets, prop lists, shot lists, storyboards and more. Easily import a screenplay and immediately get started attaching scenes to shoot days and scheduling cast and crew. Choose from a variety of budget templates or create your own, and easily link your budget to schedule elements such as cast, crew and props. Chimpanzee comes with over a dozen reports, including breakdown summaries, call sheets, and a budget topsheet. Chimpanzee can also be integrated with the Gorilla Ratebook and Koala Call Sheets for even greater functionality and power. Businesses offer some of the most rewarding, creative and lucrative opportunities available to freelancers today-and breaking in can be easier than you think. Freelance writing is a business like any other - to succeed, you need a mix of skill, hard work, perseverance, and perspective. 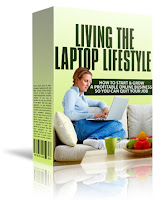 This collection combines the popular tutorials of bestselling author and sought-after freelancer I.J. Schecter that can help push your freelance career forward! Upon completion of a few screenplays every writer wonders what he or she must do now. Every one they speak with has an opinion about agents and query letters and networking and many other seemingly mysterious moves the new writer must make. This course has the correct, concise and complete answers to these and many more questions. The teacher, Michele Wallerstein, has spent over 20 years as a literary agent and shares her knowledge of how to get you to the best place possible for your writing career. What separates good authors from the rest? Philip Athans covers all the bases in the Writing Essentials for Novelists Collection. Learn the importance of starting your novel strong, controlling your plot's pace, connecting emotionally with your readers, creating a great antagonist, and so much more. From writing sword and sorcery fantasy to fast-paced action thrillers, these resources will help you keep your readers breathlessly turning pages! Great dialogue is a crucial factor in making your characters leap off the page and attracting A-list talent. How do some writers craft conversation so authentic, it feels like they've been eavesdropping? What's the secret behind getting characters to talk to each other? How can writers make their dialogue sing? This kit has everything you need to create convincing dialogue in today’s screenwriting world. Craft your subtext, develop strong conversations, and learn what makes your dialogue feel like real drama. Grab this kit today and start making your words jump off the page! Today I have a list of the latest writing courses available from The Writers Digest University and also a few courses for screenwriters too. Take a few minutes to browse the list and choose one that will get you writing today. I you're looking for something that can help you write more, take a look at these latest products for writers. Over the years I have bought many ebooks for writers and writing courses and they have all helped me to create my own successful writing career. And maybe one of these can be the start of yours. Being a writer can make you crazy. The writer's life is at once invigorating and exhausting, it can be isolating and wonderfully social, inspiring as well as demeaning. With practical tips and tricks, examples from dozens of famous writers, and inspiration culled from years of experience as both an author and agent, instructor John Cusick provides the tools for tackling the writing life with gusto, enthusiasm, and balance. Learn healthy, productive techniques for combating the inner critic, utilize envy, and summon motivation. With humor and insight, this presentation gives writers the skills to conquer the maddening uncertainties of writing and publishing, and to create a space for one's writer self in the world. Every movie-goer and script reader loves action movies that refuse to quit until the very last frame. In this value pack, you'll learn how to structure a fast-paced, well-plotted script that keeps the action moving. Included are four recorded webinars, two videos, and an OnDemand course presented by insiders and experts in the action script industry. Only available in June, this is a fast paced value pack you don't want to miss! Check out the categories from BrianTracy.com such as Personal Success, Time Management, Love & Family, Business Success, Sales Success and much more. This sale is valid from June 20th to July 2nd. 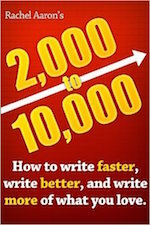 f you're looking to master everything from dialogue to different styles of grammar, you'll get the best tools available for writing fiction in this Write Great Fiction Collection. Best of all, you'll even get the tools you need to diagnose pitfalls of work and how to turn those pitfalls into strengths. Make sure your writing stands out in the slush pile and get yourself published! Learn and master the art of high pressure sitcom writing with Four Weeks to Your Sitcom Pilot at Screenwriters University. n the real world of TV production, creative group sessions can be both daunting and invaluable to the finished product. This class will attempt to replicate that experience. And you will finish the workshop with a complete draft of a 30 minute sitcom script. Finally, all the legal and business essentials you need to be successful in screenwriting! Complete with eight proven webinars and the updated Hollywood Screenwriting Directory, this collection offers advice on finding and then choosing the right agent for you. Learn how to build and maintain healthy partnerships as well as how to pitch and sell your screenplay in an effective manner. You'll also get advice from top agents and managers currently representing clients. 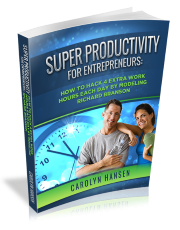 With these resources you'll get the help you need now and avoid getting taken advantage of by the industry! This is just a quick shout out for an offer you don't want to miss. These items usually retail for over $600! But just for today only, you can get this huge bundle for 83% off! You may even qualify for free shipping to anywhere in the US. This is such a great offer and may never be repeated again. It includes everything you need to write and get published as a children's and young adult author. Just click the link below to find out more.